A DIAMOND IS A DIAMOND. . . A DIAMOND IS A DIAMOND. . . A DIAMOND IS A DIAMOND. . .
"A Diamond Is A Diamond. . .
Is A Diamond Is A Diamond. . ."
​Spoken by master cutter and Princess-cut creator Israel “Izzy” Itzkowitz, these words have never held so much significance as they do today, especially with the world’s attention increasingly turning to lab-grown diamonds. One company that is attracting much of this global attention is Diamond Foundry, which enjoys the support of Hollywood celebs such as Leonardo DiCaprio as well as a bevy of heavyweight Silicon Valley investors. To learn more about Diamond Foundry's processes and products, we caught up with its CEO, Martin Roscheisen at the company’s base of operations in Silicon Valley. Cynthia Unninayar: Coming from a tech background, what made you decide to launch Diamond Foundry and start growing diamonds for the luxury jewelry industry? Martin Roscheisen: Diamonds are a fascinating industry. We felt that we can offer a fresh choice in an industry that stands to greatly benefit from an honest, responsible new product. Our own history is that, over a period of ten years, our team built a significant $640M solar cell and panel manufacturing operation based on some very innovative technology. This included materials processes using atomic layer deposition that is very similar to what can be used to culture jewelry-grade diamonds. We had a hunch that we could make a diamond product happen at a quality that was previously not commercially attainable. After three years of technological development, we are now seeking to partner with people in the industry. We are finding a lot of excitement about our product because we can make it profitable once again for people in the industry to market and sell diamonds. To this end, Israel “Izzy” Itzkowitz, the inventor of the Princess cut and a legend in the diamond industry, has recently joined us full-time to help us be a part of the jewelry industry. Izzy is amazed by the quality of our diamonds and keeps saying ‘a diamond is a diamond is a diamond.’ We could not agree more! CU: The creation of lab-grown diamonds has been around for 50 years or more. How does your technique differ from the others? MR: Our technology is based on a type of atomic layer deposition applied to an earth-extracted diamond. 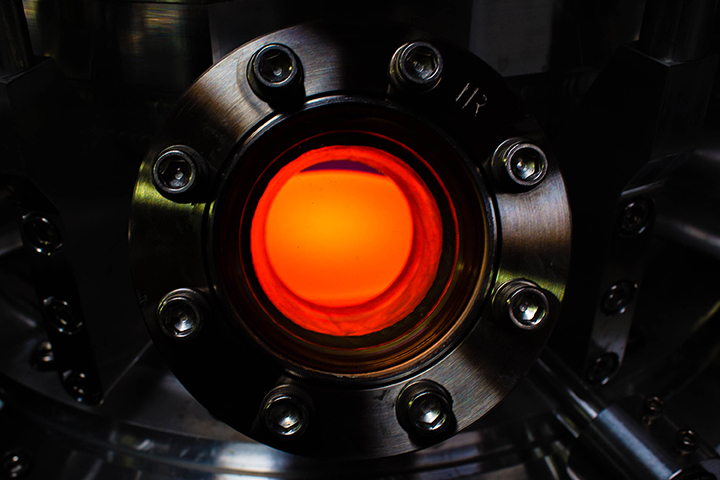 It is a new and different technology that was inspired by what we saw work in solar semiconductor research. We have developed proprietary tooling that enables atomic layer deposition straight onto earth diamond. Our tools realize a novel plasma resonance mode discovered through tens of thousands of physics-based simulations. We had to develop this software because it did not previously exist at the physics-based level. Furthermore, without recent advances in computation, these simulations would not have been possible. Our tools are proper industrial tools, composed of more than 350 precision-engineered parts. A recent visitor from Applied Materials remarked that our team accomplished in three years what would have taken them a decade. Q: How long does it take to make a diamond and what sizes and quality can you produce? MR: In principle, we can grow any size of diamond although our present baseline process is in the one to two-carat range. Our largest stones are two-and-a-half carats polished. Our best colors are F through J, and VS clarity is generally the case. It takes two weeks to make a diamond with our process. Q: Why is your technique for creating diamonds so much faster than the industry as a whole? MR: It is faster because we discovered a novel electromagnetic resonance mode which creates a 10x more intense, larger-area plasma. We are at the very beginning of a long journey. There is low-hanging fruit, left and right. The rate of 2x improvements happening is fast. This matters more than any existing metrics. Q: Do you intend to eventually make fancy colors? MR: We are currently looking into that! Q: Do you inscribe a hallmark or other information or designation on the diamond in order to identify it? MR: Yes. Our plan is that every diamond will be routinely inscribed, whether or not we send it to a grading laboratory. We want complete traceability for our stones, so they can be traced to our origin. Q: Since your diamonds are so like earth-created diamonds, do you worry about them being resold as ‘real'? MR: Our diamonds are ‘real.’ They are as real as a baby born with IVF fertility assistance. Nobody would call a child of this procedure a synthetic child. Fortunately, lab-created children are allowed to go to school with natural children. We are proud to sell non-mined diamonds and have a zero-tolerance policy on marketing that confuses a buyer regarding the origin and nature of our product. We have chosen a company name and have an entire website devoted to making this very clear. We demand that all of our channel partners adhere to clear communication. If a reseller ever confuses anyone about the nature or origin of our product, they will be instantly terminated. Q: Although there are many problems associated with diamonds around the world, e.g. human rights abuses, environmental degradation, child labor and more, what do you say, however, to those who claim that you will put millions of good, hard-working people out of work if they are no longer able to mine, cut, market or sell earth-mined, natural diamonds? MR: That is such horribly twisted logic. One can justify every evil along those lines. Q: In terms of price, you have stated that yours will not be less expensive than natural diamonds and may even be more for larger stones. Given that other lab-grown diamonds are less expensive, how can you compete? MR: We compete by offering a product that people want. People don’t want a questionable diamond, and luxury wants to be expensive, not cheap. Lab-grown diamond discounters from Asia are making a big mistake in their marketing along those lines. 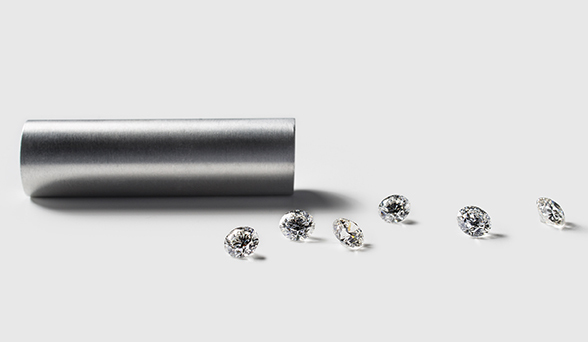 Our premium diamonds will be 100-percent American, including the cutting and polishing. They are made in a truly sustainable manner with a zero carbon footprint. And, there will be coal-fired diamonds from overseas that no one will want to touch in luxury. Q: Because ethics and sustainability are on the minds of consumers today, I asked a jewelry retailer about his experience with these concerns. He said that some bridal clients ask for conflict-free diamonds, and he suggests Canadian diamonds, but these stones often come with a price premium. Nine times out of ten, the consumer opts for the lesser expensive ‘unknown’ origin stone. How do you compete if your gems are more expensive and not natural? MR: These same retailers will now enjoy being able to offer an additional choice that does not require a compromise—sustainably cultured diamonds from California. And, they will also make a lot more profit doing so. The larger issue is really that the diamond industry has steadily been losing relevance with younger generations. The same marketing playbook just does not apply to Millennials. If there is one thing that characterizes these young people, it is that they have a sharp BS detector. They are on the lookout for ulterior motives and they demand transparency. You can call your diamond ethical, but they know it is not. You can make a statement on corporate responsibility where you say you are trying to the best extent feasible, but they know this is not enough. All of this has a real effect in terms of women choosing to abandon diamond jewelry. After our launch, we received hundreds of emails from women saying that they do not want a mined diamond for their engagement ring, and that they love our cultured diamonds. When a retailer offers a Canadian diamond at a premium price, it is still opening the earth with all the ecological devastation associated with mining. It is understandable why people don’t want to pay for this. Q: Currently, the term adopted by the diamond industry for lab-cultivated diamonds is ‘synthetic.’ How do you feel about this term? MR: The mainstream diamond industry is obsessing about man-made diamonds when it should really be worrying about its own relevance. Those who call our product ‘synthetic’ are just fooling themselves. They don’t get what’s going on today. There is concern that 10 percent of the business will go to man-made diamonds. Yet, our focus-group tests indicate that as many as 50 percent of Millennial women do not want a mined diamond. All these years of questionable practices have taken a toll on the industry. There is no amount of marketing that will lead the way out of this. Only real change will. Q: On the Diamond Foundry website, you list a number of designers who are participating with you. What types of designs will they be making and will people only be able to purchase these creations through your website? MR: We feature award-winning designers on our marketplace. 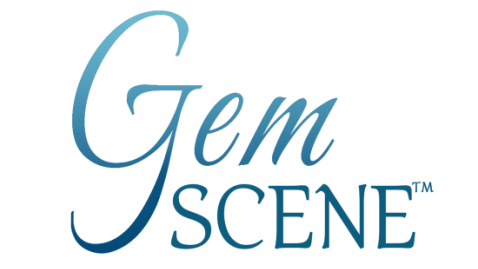 There are designs that will be exclusive to our site, but others will be available directly from the designers with other gemstones. 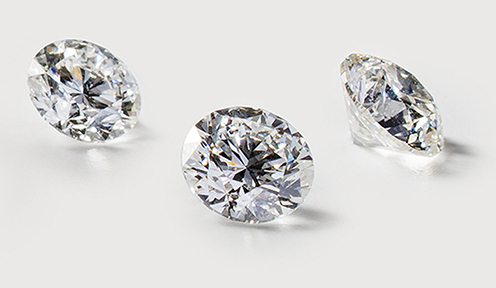 Q: Do you plan to wholesale your lab-cultivated diamonds to other dealers? My interview with Martin Roscheisen first appeared in the March 2016 issue of Jewelry Showcase magazine. Three faceted lab-grown diamonds from Diamond Foundry. 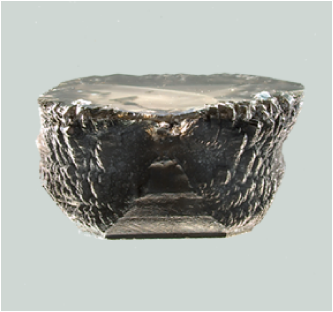 Rough diamond as it comes from the Diamond Foundry reactor. Diamond Foundry was created by several people from the tech industry who apply new methods to the cultivation of diamonds. 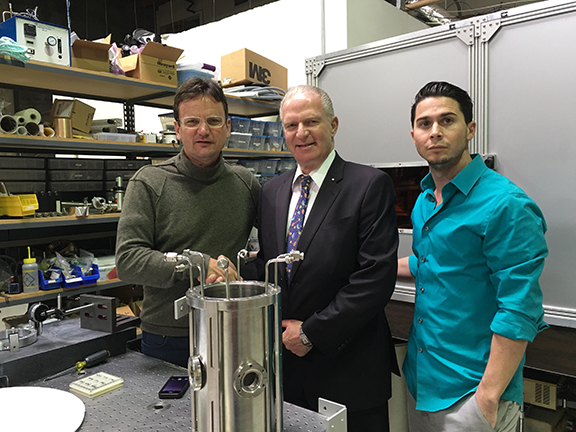 Left to right: Martin Roscheisen, CEO; Israel Itzkowitz, diamond expert who recently joined as master cutter; and Kyle Gazay, vice president of operations. Diamond Foundry’s Atomic Layer Reactor in Silicon Valley. Sample of faceted lab-grown diamonds from Diamond Foundry.